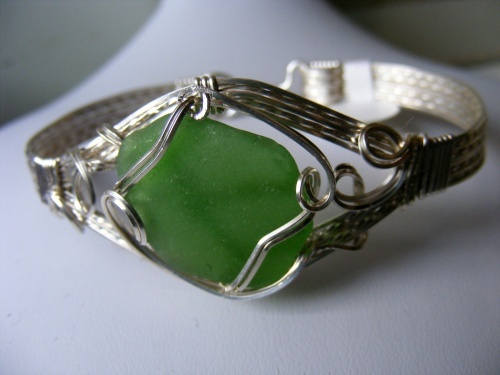 This beautiful, one of a kind cuff bracelet is sculpted with an authentic piece of locally found seaglass. Ornate but still not too much so it can be worn dressy or sporty. Lightweight to wear and very comfortable as well.